For over 50 years, Baby Lock has been dedicated to the love of sewing by creating machines for sewing, embroidery, quilting and serging – all with ease-of-use, high quality and a touch of elegance. Following is a selection of Baby Lock machines. For more information, click on the picture of the machine, or, to see a full listing of all Baby Lock machines and products, please see www.babylock.ca. You could also drop in for a test drive! (Please note that not all machines shown below are in stock for testing). To ensure the highest possible quality, all machines sold by SEW for IT! are inspected and tested prior to being sold. Plus, any new machine purchased from SEW for IT! includes; 1-on-1 owners class. We want you to know how to use your machine before you take it home. Ask about our two year support program available for most machines we sell. Our Baby Lock repair technician has been trained by the Baby Lock Canada service and repair department. Ed has been servicing sewing machines and sergers on-site since 1995, has had electronics experience since 1967, and computer experience since 1969, providing quality, on-site repair services to all levels of Baby Lock products. 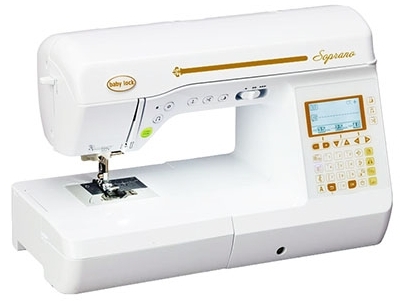 Below are listed the various machines available in the following topics: Sergers; Sew and Embroider; Sew, Quilt, Clothing, Decor; Quilt and Specialty; Embroidery only, & Multi-head. Clicking on a machine image will open a new window offering more detailed information. 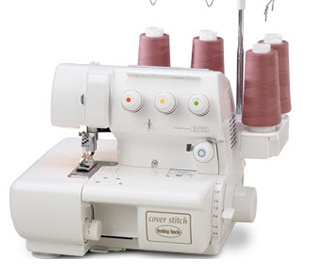 Baby Lock was the first to introduce the world to sergers, now with RevolutionAir™ threading thread loopers and needles with the touch of a lever, and in any order, and no overlock tension knobs. The Baby Lock Triumph eight-thread serger has a 5 inch work space to the right of the needle. 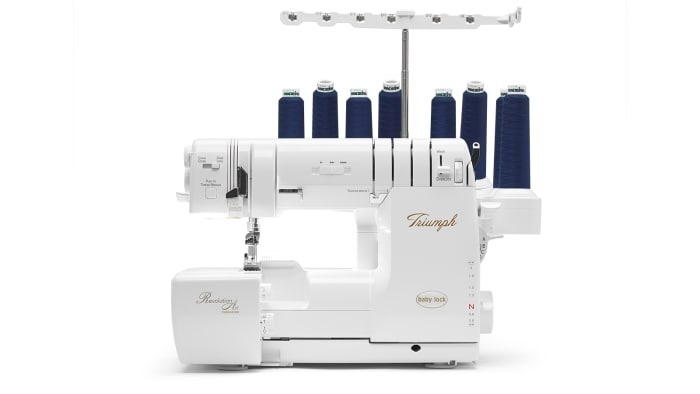 The Triumph has other innovative features like a front mounted presser foot lift, knee lift and bright LED lights to make every sewing project easier. From home decor to garments, it's time for an outstanding performance. Triumph can also chain off at the end of a cover stitch. 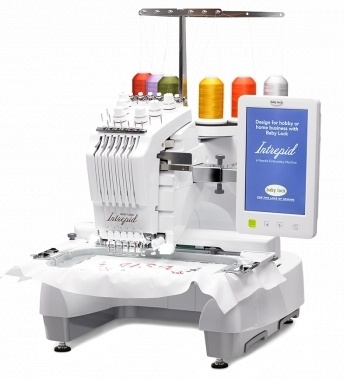 The 8-thread Baby Lock Evolution serger has the latest evolution in threading technology with ExtraordinAir™ threading. With just one push of a button, ExtraordinAir™ can take the thread through all three loopers at once, instantly, with a gust of air. Plus, the Evolution can be threaded in any order. The Baby Lock Cover Stitch machine is perfect for both home sewers and tailor shops. 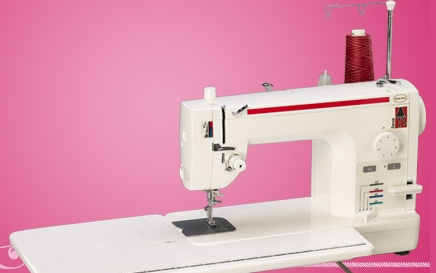 Designed especially to complement a Baby Lock four-thread serger, the Cover Stitch machine creates professional finishes for all ready-to-wear and home decorating projects. Effortlessly create triple, wide and narrow cover stitches. 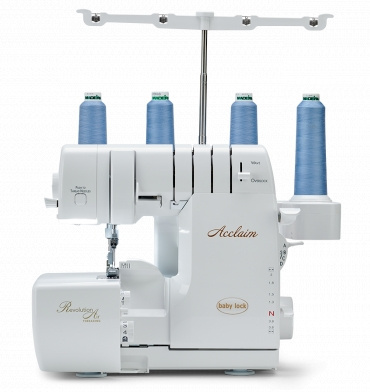 The Baby Lock Acclaim is a 2, 3, 4, thread serger now with RevolutionAir™ threading. Thread both loopers with the push of a button and the needle with the push of another. 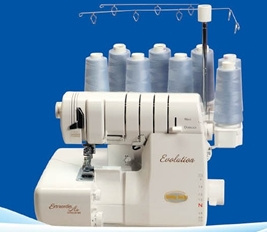 The Automatic Thread Delivery allows threading in any order. Plus, with the thread delivery system, there are no tension adjustments to be made. With the Baby Lock Enlighten, and just one push of a button, ExtraordinAir can take the thread through both loopers at once, instantly, with a gust of air. Plus, expand creative options with the exclusive Wave stitch. 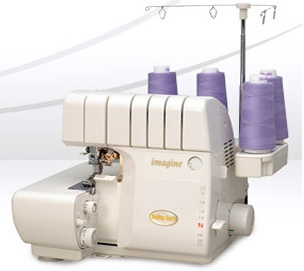 Imagine is Baby Lock’s most popular serger. This advanced home serger includes Jet-Air Threading™, which threads the loopers with the press of a lever, and Automatic Thread Delivery to thread in any order. Imagine also has a built-in needle threader. Plus, with the thread delivery system, there are no tension adjustments to be made. 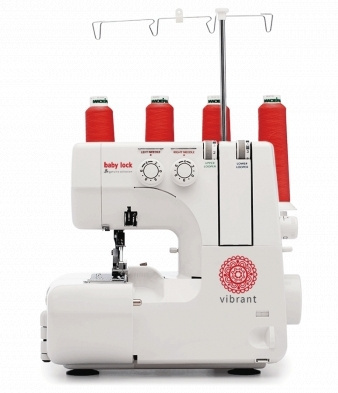 Baby Lock Vibrant - is a 4, 3, or 2 thread serger with differential feed, snap-on presser foot, cutting width dial, stitch length dial, rolled hemming, lint tray, thread cutter, LED sewing light, swing away cutter system and safety cutter. The Vibrant has a unique feature where the whole front of the machine, including fabric cutter, swings out of the way for easy threading and cleaning. Destiny II - The Baby Lock Destiny II embraces the future of sewing. With a large, 10.1” high-definition LCD screen, your stitches, designs and settings are bigger and bolder than ever before. NOTE that Destiny II, Unity, Crescendo, Journey, Aria all have the extra large 11.25" to the right of the needle. Push button needle threader - how easy is that? Sewing and embroidery journeys become one with the Baby Lock Unity. A sizeable, 7" x 12" embroidery hoop opens the door to large embroidery designs. Plus, numerous innovative features powered by Baby Lock IQ Technology™ further enhance your creative journey. 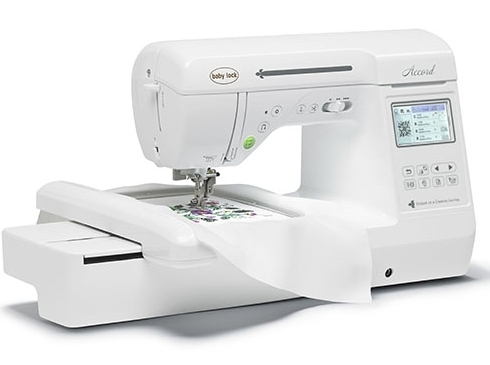 Precision-dedicated, IQ powered features, such as the Digital Dual-Feed System and the Sensor Pen make sewing and embroidery easier. 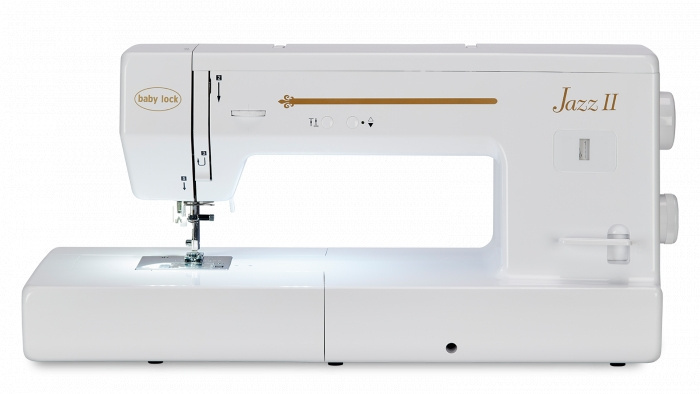 Effortlessly blend your love of sewing and embroidery with the Baby Lock Unity. Many features similar to Destiny II. The Baby Lock Aventura II will guide you on your next creation. Use the two-way USB connectivity to load your favorite designs to the machine or choose from 301 total built-in designs. Make every project unique with a variety of built-in editing features. You can even edit fonts like other designs. 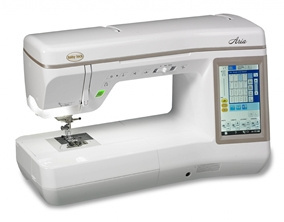 The Aventura II has many advanced sewing features, too. And the Automatic Fabric Sensor System will adjust tension for the perfect stitches on a variety of fabrics. Aventura II is like Soprano, plus embroidery. NOTE that Aventura II, Soprano, Lyric, Katherine all have the large 8.3" space to the right of the needle. To step up your creativity to include embroidery, the Baby Lock Accord fits the bill. 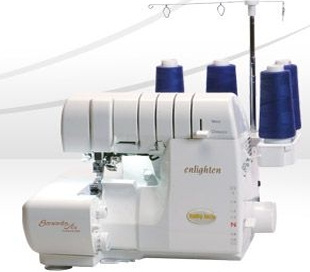 With 141 built-in designs, 250 built-in stitches, advanced thread cutter, Quick-set bobbin and more. Advanced Needle Threader - so easy, you can do it with one hand! Hands-Free Presser Foot Lift - raise the presser foot with a tap of the knee. 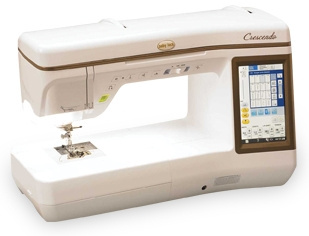 LCD Touch Screen - makes it easy to select embroidery designs. 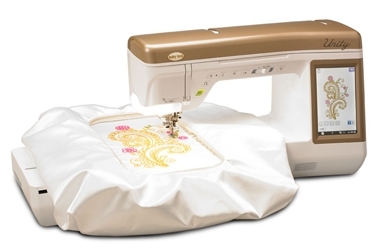 The Baby Lock Crescendo deluxe sewing and quilting machine is sure to make your next composition a masterpiece. The Crescendo also has the largest work space of any machine in the Baby Lock sewing line, making it the perfect accompaniment to creativity of all sizes. Features are like those of the Unity, but without embroidery. The Baby Lock Aria is packed with features, similar to Crescendo, but without the laser guide beam. Enjoy quick auto-adjustments and a hassle-free sewing experience. Make elegant turns using the advanced pivoting feature. Plus, the extra-large work space gives more room to compose bigger projects. The Baby Lock Soprano is easy to get started, with the advanced needle threader and quick-set, top-loading bobbin. With the Advanced Pivoting Feature, turn corners, follow curves and maneuver around appliqué shapes easily. Longer feed dog & J foot - more fabric control. Auto thread trim - with a push of a button, cut threads below fabric. 300 stitches - for many sewing techniques. Upper & lower case lettering - customize your own labels and more. Auto tension - no need to touch a dial. Quilting extension table - to provide a larger surface. Soprano is like the Aventura, but without embroidery. The Baby Lock Lyric makes it easy to achieve a precise ¼’’ stitch, and the variety of stitches helps customize a quilt down to the last detail. The advanced needle threader and quick-set bobbin speed up the threading process. 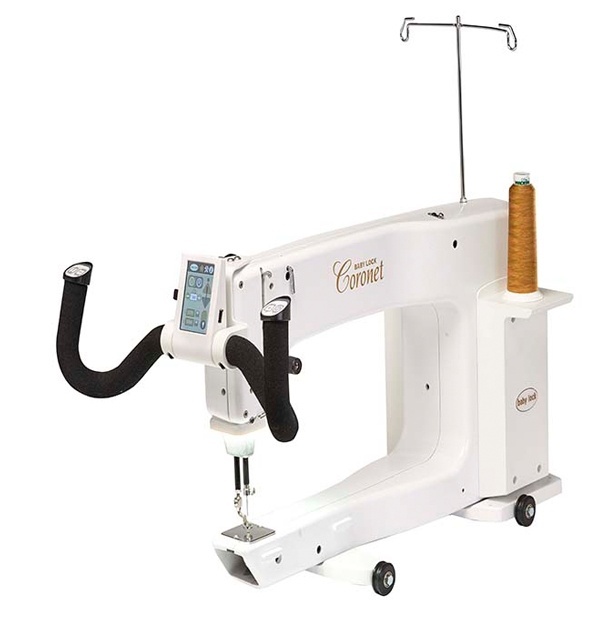 Includes: Advanced needle threader; Auto thread trim; 250 stitches; Upper & lower case lettering; Auto thread tension; 14 presser feet; extension table. The Baby Lock Katherine is the fourth in the series of larger sized opening. 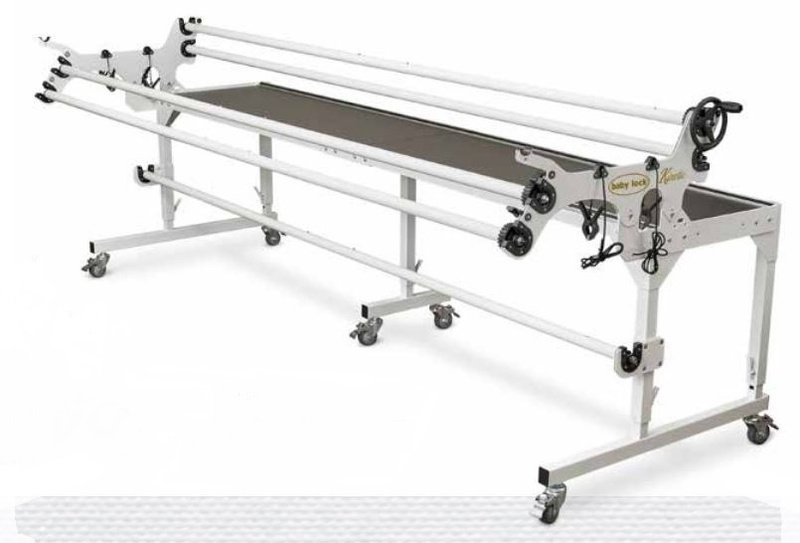 Features are similar to Lyric, but instead has manual thread tension, 190 stitches, upper case lettering, and no quilting extension table is included. Katherine does include: LCD display screen; Longer feed dog & J foot; Advanced needle threader; Auto thread trim; 14 presser feet. 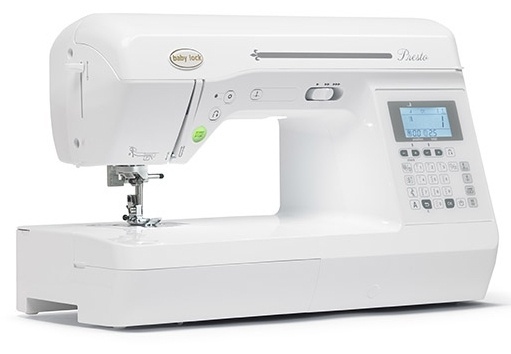 The Baby Lock Presto II quilting and sewing machine offers 100 built-in stitches and a bright LCD screen; allowing you to select and adjust stitches in a snap. The Baby Lock Rachel is the star of any sewing class. 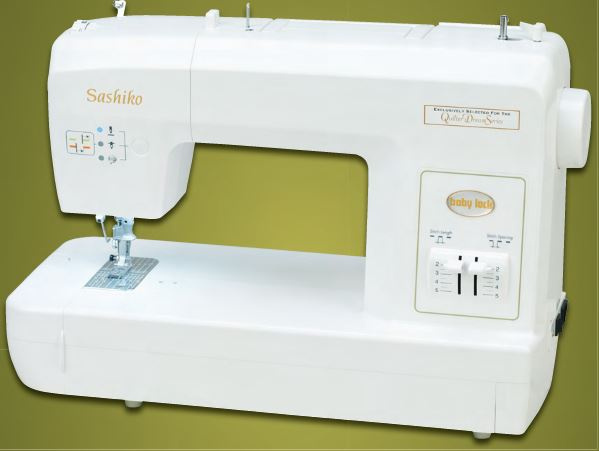 This easy to use, computerized sewing machine is equipped with push-button features to make every project easier. And Rachel is not only smart; but fun to work with, too! With numerous decorative stitches for embellishing all types of projects. With the spin of a dial, select from 50 stitches. Selection is made simple with a pictured menu and LCD screen. 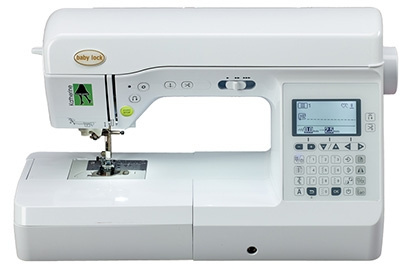 Sensible and straight-forward the Baby Lock Jane is a straight stitch machine with a speed of 1,500 stitches per minute and a large opening to the right of the needle, extension table, Precision Feed System, auto thread cut. Includes dual feed (walking foot), and free motion foot. 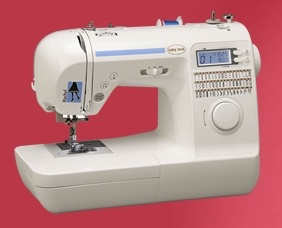 The Baby Lock Jazz II provides a 12” work space and 1,000 stitches per minute. 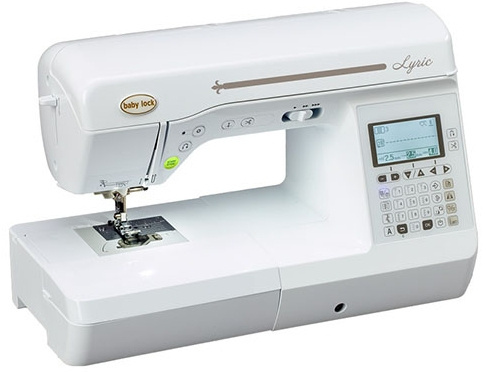 The Baby Lock Jazz II offers a big place to create quilt compositions, and includes a variety of stitches, one step buttonhole, and now with needle stop up and down. 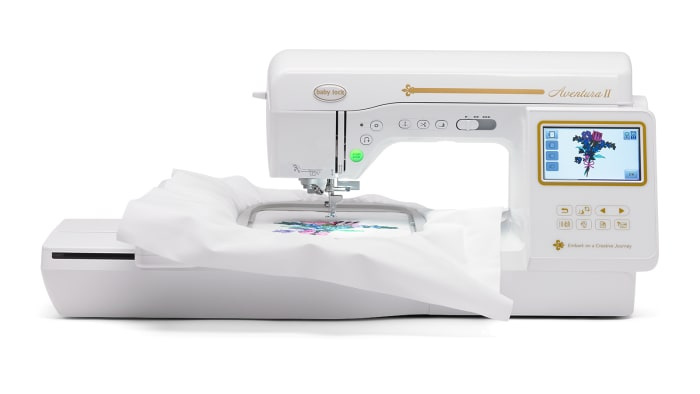 This Baby Lock Tiara III smooth operating machine sews up to 1,800 stitches per minute and comes with its own, adjustable height, table so you can be ready to do free-motion quilting right away, with a work space measuring 16 inches to the right of the needle by 8.25 inches high. 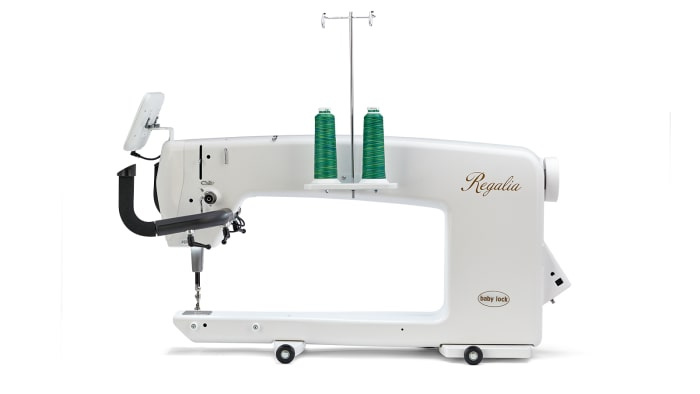 The Regalia long arm machine from Baby Lock allows you to create gorgeous and intricate quilting with an astonishingly smooth stitch for the utmost creative freedom and precision. 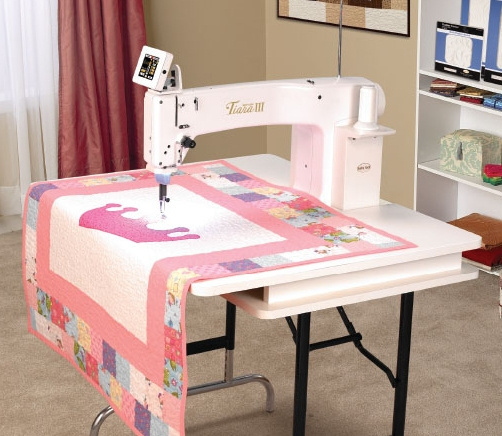 With a generous 20″ long arm, built-in stitch regulator and 2500 stitches per minute, you can achieve beautiful and professional-quality quilting with ease. Also available is the Pro Stitcher Quilting Software System. The perfect companion to the Regalia long arm machine. Click on the Regalia image above, then select "Manuals & Updates" for additional information on these products. The Kinetic Frame is a five-rail frame that can be set up at five or 10 feet long. An optional 2' extension is also available to allow a full king size quilt. Slightly smaller than Crown Jewel III, the Baby Lock Coronet long arm quilting machine opens up worlds of possibilities for first-time long arm quilters. The included 5′ frame fits easily into the smallest studio, yet the Coronet has a large 16″ work space. Create the look of traditional, hand-work stitching on the Baby Lock Sashiko 2 machine. Replicate this distinctive stitch and add a hand-stitched touch to any project with a machine that is truly the first of its kind. This versatile Baby Lock Valiant embroidery machine can sew with 10 needles and at 1,000 stitches-per-minute. It’s the perfect choice when looking for industrial power on a home embroidery machine. Whether tackling more embroidery projects, or starting a business, the Baby Lock Intrepid will help on the path to success. With 6 needles and incredible, innovative features, it`s everything needed to take the next step in an embroidery career. 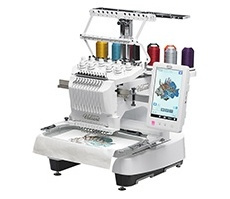 Includes 86 embroidery designs, 37 fonts, 2 type A USB ports and 1 type B. Stitching speed up to 1000 stitches per minute and up to 200 x 300 mm embroidery field.